Sadly, my blog has been on low priority of late. I've been a little busy finishing up the Sacramento Food Film Festival (which raised about $10k for CA Food Literacy, thank you) and with my new job. Perhaps you read yesterday's (4/6/14) Bee article "Rezku has no reservation on challenging OpenTable". Well as I mentioned a few weeks ago, this is my new employer. I'll be retiring from my State job to work at this new start-up company. Leaving a very secure State job is a bit of a gamble, but at least I'll be happy doing a job that I have a passion for. My new company is Dinnerwire/Rezku. 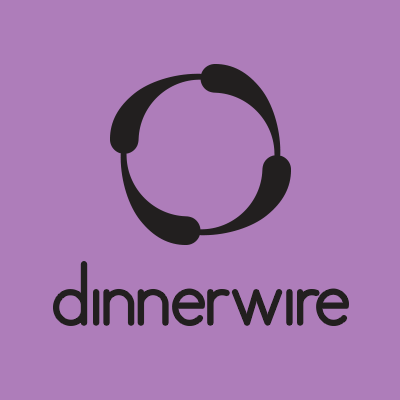 Dinnerwire is the end user app/webpage where you can look up restaurants and make reservations. Rezku is the restaurant reservation system used by the restaurants to not only schedule bookings, but alter floorplans, assign servers, move tables, keep analytics on service, etc. Taking on OpenTable is going to be like an ant going up against a foot. We are starting with less than a dozen employees and they have thousands worldwide. They made $56 million the last quarter of 2013 and have used that wealth to buy up other companies such as Foodspotting. What we do have is a significantly lower price plan that can save the restaurants hundreds or even thousands of dollars each month. We also have a state-of-the-art system. I'm sorry, but the other guy's looks like it hasn't been touched since it was created in 1998. When I leave my State job in July I will start selling the system as well as my current duties. Right now I work for them part time and love my new job. Who wouldn't love filming restaurants? I'm doing "Ms. Munchie on the street" style videos that we post to the Dinnerwire page. The idea is that other sites have photographs, but we are showing you videos that give you a feel of the place and the food and sometimes include an interview with the owner, manager, or chef. So with that, let me show you a sampling of what I've been up to. I'm not able to embed them here, so you will have to follow the links. Even though we are based here, we are signing restaurants up for Rezku nationwide. So if you have any contacts in the restaurant biz who might be interested, let me know. We are also hiring sales people for the rest of the country. Restaurant owners/managers should go and "claim" their restaurants on Dinnerwire. If you have your own video, you can post it there and edit your restaurants information. Lastly, if you are in the Northern California area and would like me to come and film your restaurant, I would be happy to do that - it's my job!